Which HK-listed companies have “crypto currency” exposure? How did companies comment and forecast about iron ore prices? Who had connected transaction with Convoy? How many profit warning releases are there in 2017 vs 2016? 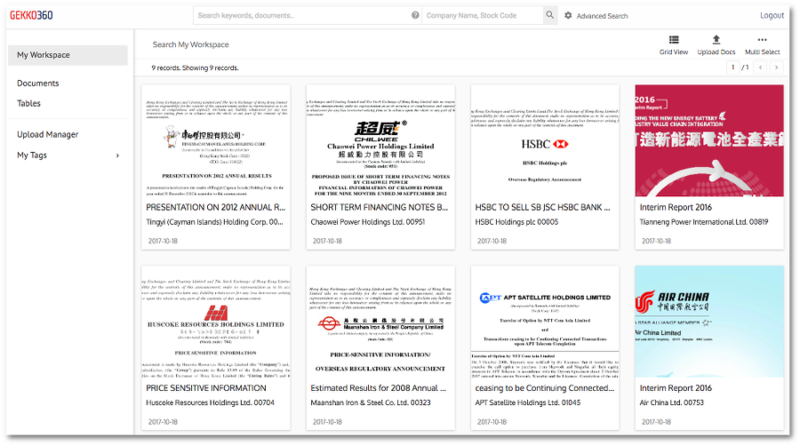 How David Webb is involved with HK-listed companies? What are "Angelababy" concept stocks? If you want to join a fast-growing start-up with strong engineering culture and want to build beautiful products, you may be the person we are looking for. Gekko Team values hacker culture, creativity and craftsmanship. Gekko is a team of do-ers and problem solvers, and we love to work with like-minded individuals craving to build great software to solve complex problems for the most important financial institutions.